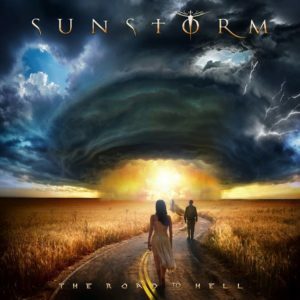 Between 2006 and 2012, legendary rock vocalist Joe Lynn Turner lent his talents to three great albums by Sunstorm; releases which celebrated his many years on the melodic rock scene as well as added to his impressive catalogue. 2012’s ‘Emotional Fire’ was especially interesting as it revisited Joe’s 80s legacy, presenting covers of songs on which he’d originally contributed backing vocals. In the hands of Sunstorm, Michael Bolton’s ‘Gina’ and ‘You Wouldn’t Know Love’ (a big hit for Cher, and old a final voyage into rock for “old two haircuts” himself) sounded as good as ever. 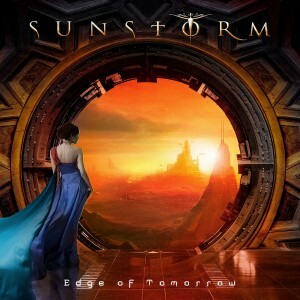 Although 2016’s ‘Edge of Tomorrow’ was an enjoyable record and a worthy addition to the Sunstorm catalogue, it gained more of a mixed response for a couple of reasons: firstly, it had a rockier feel and furthermore, it was effectively Sunstorm in name only – Turner was now fronting a completely different band. In 2015, the legendary Joe Lynn Turner lent his vocal stylings to an all-star project entitled Rated X. A hard rock release best designed to impress fans of a Euro metal style and injected with an obvious influence from Rainbow, the album found Joe in good voice. It was also by far the best thing Carmine Appice had been associated with since 1986. Fans hoped that Turner would next reappear as part of the resurrected Rainbow and, by all accounts, he was keen to get involved, but Ritchie Blackmore – and perhaps, more importantly – Ritchie Blackmore’s ego had other plans.